It seems there’s a new Go conference on the scene this summer. There’s a call for speakers open until the end of May if you want to speak. Core team member Andrew Gerrand is featured in an 80 minute podcast interview with The Changelog talking about the state of Go and what’s coming in 1.5 and 1.6. 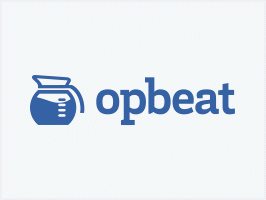 When an error happens, Opbeat will show you the code that is breaking, who wrote it, and how it is affecting performance. Experimental Go support. Go newsletter readers get $100 credit. Quite flexible, automatically pads, supports multiple line entries, alignments, custom separators, and more. Ideal to present tabular info in a CLI situation. The conference itself takes place in Denver, CO over July 7-10. If you’ve used the powerful Pry Ruby REPL, go-pry aims to provide some of the same features to Go. Could be useful to folks who want to have remote profilers available on their live services, without being tied to the default servemux.